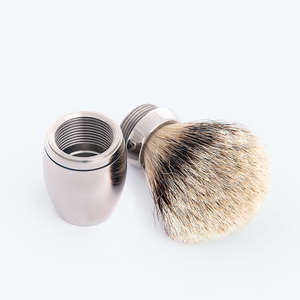 Your stainless steel shaving brush handles will last a life time. 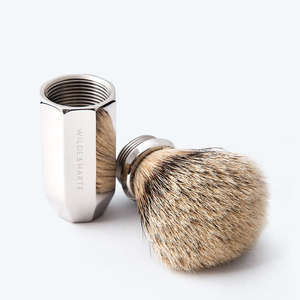 However, your shaving brush bristles – even when cared for properly after each wet shave – will over time (typically many years), become less absorbent and need replacing. This is a particularly easy procedure to perform with your Wilde & Harte shaving brush. Simply unscrew the existing brush head by carefully gripping the metal ring at the base of the brush fibres and unscrew in an anti-clockwise direction to unthread and detach. You may now replace with your brand new brush knot.